Paka didn’t slow down as he unsheathed Jyak and held it out for Kale to examine. It was a strange sword. It looked rather plain, other than the fact that the blade was blue. 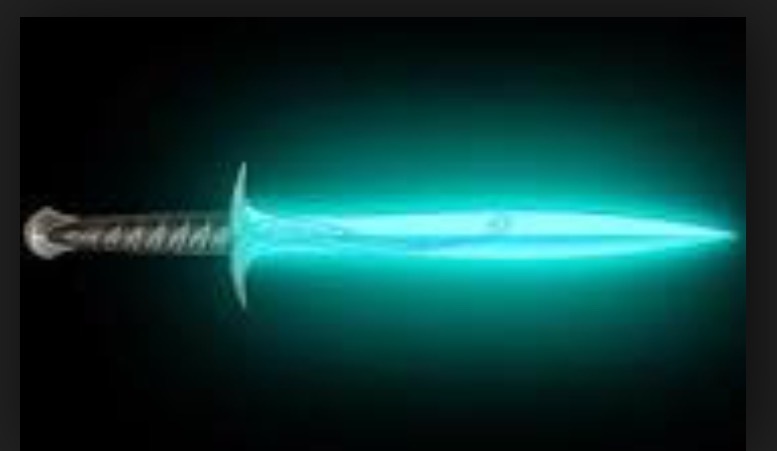 The hilt glowed silver and had an old cloth wrapped around it. Looking at the blade was almost blinding. The moon reflected the startling blue as it caught the light. As it glimmered, Kale noticed it had a very long scratch from the very tip of the sword that went almost all the way to the hilt. She gazed at the weapon in wonder. “How did it get scratched?” asked Kale. Click here to read the full microcerpt!